Providing entertainment for people's weddings is a real privilege. 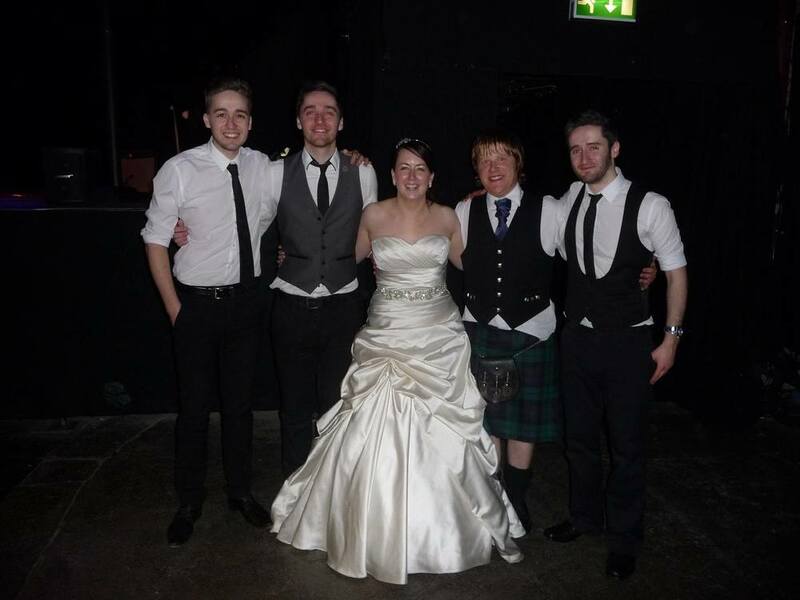 We like to have a memory of the occasion, so we get a picture with the couples after every wedding. Here are some examples with some lovely words sent to us by the newlyweds. Amazing night, everyone loved you!! Seriously dudes. We say this not because it was our wedding but you guys are amazing live. Utterly brilliant. EVERYONE commented on you guys. You made our wedding. Thank you so much, hope you enjoyed your sweets! Thank you so much Dario, Luciano and Gary, you were outstanding. All our guests have been raving about you, so glad you were part of our day, and you certainly got the party started and kept it that way all night. Apologies about the woeful ceilidh dancing again!! 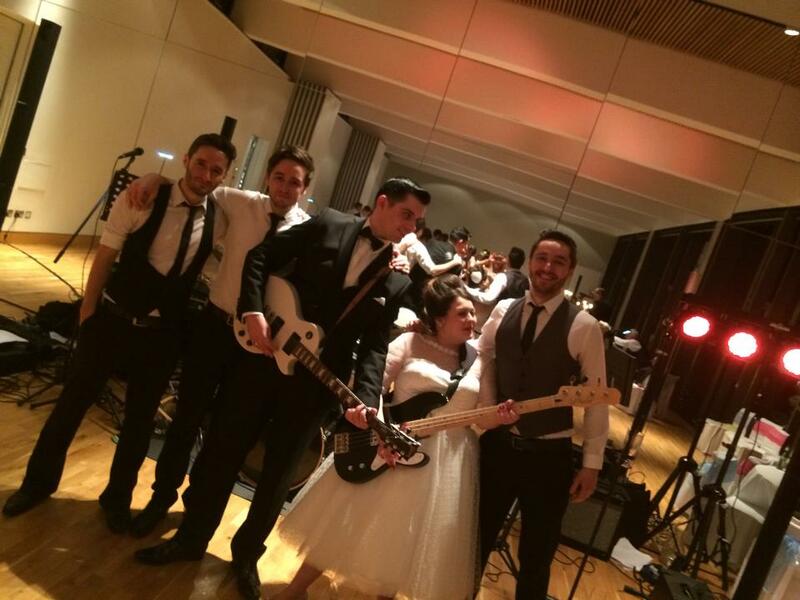 Massive thanks to The Black Ties for their fantastic set at our wedding on Saturday. You were the musical icing on the cake! We loved burning up the dance floor to your exceptional playing and hope to hear you again soon. Thank you guys for helping make our wedding a night to remember. You were absolutely brilliant and we loved every minute as you could probably tell from our 'dancing'!